A great PR campaign can generate positive brand awareness through earned media, which is clearly desirable. Who wouldn’t welcome a profile in a major national publication, or a Q&A with an influential trade? What about a flood of LinkedIn comments? That kind of engagement is always a good thing. But how valuable is it? How many PR programs can point to the number of prospects generated, or conversions from website visits? What about signed clients for a B2B company, or product sales attributed to PR? 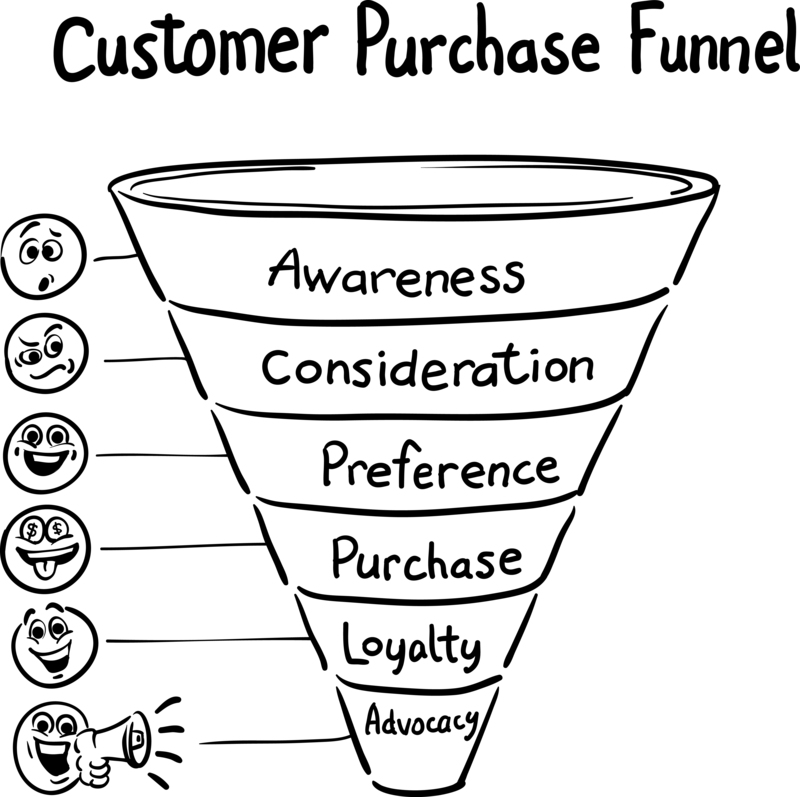 What about creating more prospects at the top of the marketing funnel? I’ve long maintained that public relations alone isn’t a reliable demand generator. But, before you dismiss the power of PR – the key word here is “reliable.” In my experience it works best in tandem with other, more controllable or scalable elements of the marketing mix – like email marketing, SEO, and sales promotion. Yet we don’t give strategic PR enough credit when it’s considered as a vague awareness-generating tool that “conditions” the market. And the blurring of lines between earned media, paid, and owned media, and between PR and social, has greatly amplified PR’s reach. Look at that marketing funnel. The need to fill it, and move prospects down the funnel from awareness to action, is the goal of most marketing campaigns. We want to get as many people as possible into the top of the funnel and maintain as many quality prospects as possible as they move through the journey to being customers. And ultimately we want to help convert those prospects to customers as well. PR can play an important role in every major step in that journey. Here’s how. First, generating awareness. Filling the funnel starts with awareness – of the problem or need, and of possible solutions for it. The brand itself may play only a small role in the coverage that drives awareness. That doesn’t mean PR can’t build awareness of a brand or product; it can. In fact, it’s at its best when a brand is truly innovative, or a category creator – think Starbucks, which relied on its own storefronts and plenty of earned media coverage rather than advertising in its early years. Or consider today’s innovators – brands like Casper, Uber, and Amazon. But most companies aren’t category creators, so let’s look at more typical examples. Let’s say we’re launching a new type of supply chain software for manufacturers. The software helps companies keep track or crucial parts so they can minimize factory downtime. A PR program can raise awareness among relevant purchasing and manufacturing executives through earned media features in automotive or manufacturing trades, as well as company-published content about the opportunity cost of running out of a key equipment part. When done well, it catches the customer’s interest and communicates a specific brand promise or expertise. Inspiring through storytelling. A true story about a transformation and its impact can be powerful and memorable. Storytelling starts at the Awareness phase and can play a role throughout the customer journey. Think about the debate over the repeal of the Affordable Care Act; the statistics are important, but the individual stories about the struggles of children or chronically ill people are what will win or lose the fight. And for B2B companies, storytelling is no less important. The hero here is not the brand, or even the company founder; it’s probably the customer. That delayed manufacturing part, for example, could shut down an entire factory line for days. A small business owner struggling with deliveries, or a consumer app experimenting with virtual reality – these, too, can be the basis for compelling stories. Educating prospects. This is arguably the biggest role played by a well-crafted PR program, and it works at that phase of the funnel journey where many prospects fall away – where Interest gives way to Consideration. Today’s business customers are sophisticated, digitally savvy, and typically committed to doing their own research in advance of a significant buy. If they’re about to spend thousands on a company-wide SaaS solution for a business application, all bases will be covered. At this phase, PR delivers targeted content like thought leadership articles, expository videos, opinion pieces, and white papers — all invaluable when it comes to enlightening and persuading. Unlike most paid media, earned media and shared content can offer the depth to lend insights, mount arguments, or explain a poorly understood issue or position. This is content that unpacks a complex issue or rebuts and argument or facile stereotype. Generating earned influence. Information is essential. But what pushes us towards certain brands? Where is one solution favored over another? Much of this takes place at the critical Preference phase. Now the customer is leaning toward a purchase but hasn’t yet committed to it, or to a specific brand. It is here that third-party expertise or influence, amplified by social media, can push them over. In PR terms, it’s where top-notch analyst relations, outreach to relevant industry experts, and brand spokesperson relationships come in. A single analyst report can influence years of purchase for enterprise software, for example. For other products – and other types of buyer journeys — it may come down to the power of peer recommendations. “A person like me” is perceived as more credible than celebrities or institutions when it comes to influence, according to Edelman’s trust barometer. The experience of like-minded friends, or even strangers in the same social community, can be more credible than that of experts, and when a strong emotional component is present, it’s an argument for action. Blending earned and paid media. Here the credibility of an earned media placement is harnessed and amplified through more controlled channels like ads or email marketing. This can be as simple as using product reviews in ads or a prospect newsletter, and it’s most powerful at the latter stage of the funnel, as Preference turns into the intent to purchase. When it comes to purchase consideration, timing is everything. Similarly, when an editorial review or feature is linked with a compelling promotional offer or incentive, it all works together. The earned influence, deployed with a hypertargeted approach, sweetened with an incentive, leads to purchase action. Building loyalty. The customer journey – and the marketer’s work – doesn’t end with purchase. 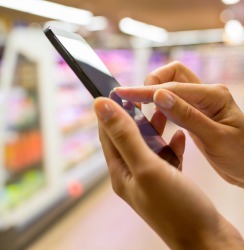 Let’s face it, most consumers are distracted, difficult to reach, and fickle. But PR and social media have a role here, too. The best programs work to create brand advocates through special offers and incentives, but also by building social communities of regular customers. A social community where a brand interacts in its own voice with fans and customers is an obvious start. Look at Lego Ideas, a creative online group for enthusiasts that allows them to submit ideas for new Lego designs. For business examples, pay a visit to Hubspot Academy on LinkedIn. Another customer-centric tactic involves generating PR for them, the customer, rather than for your brand. The classic business customer testimonial is a great example; it glorifies the customer as much as the provider, building a long-term relationship in the process. Good PR doesn’t exist in a vacuum – or at least, it shouldn’t. It works with all aspects of marketing to create prospects and move them down the customer funnel to the moment of truth.